Mr. Bellemare received his law degree from the Université du Québec in Montreal. Prior to practicing law, Mr. Bellemare was a Labor counselor with the Canadian Government. He now holds more than 30 years experience in immigration law. 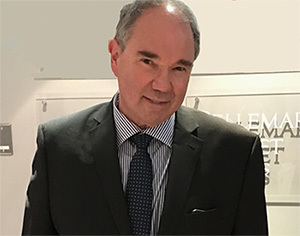 He has litigated and appeared before several courts such as the Federal Court of Canada, the Superior Court of Quebec, the Appeal court of Quebec and the Supreme Court of Canada. He has more than 30 years of practice in immigration law. He has performed numerous business trips in several continents. He was actively involved in a project that resulted in accelerating the processing delays of thousands of immigration applications. Ms. Vinet received a Bachelor of Civil Laws from McGill University in Montreal. She completed her articling before the Appeal Court of Quebec where she continued as a Researcher for the Appeal Court Judges for a period of two years. 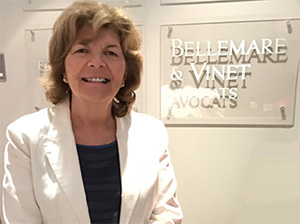 Her practice has been focused solely in immigration since 1987 from which she acquired a vast experience in all immigration sectors at the provincial level and at the federal level. She has successfully represented clients from different continents and countries. She has performed several business trips throughout the world. She speaks French, English and Spanish. You may be eligible under the current business self-employed categories. The self-employed programs are ideal for the craftsman, the artist and for the autonomous worker.